Beep! Beep! The Cross Road Car Caddy is such fun! Little fingers can take their favourite cars for a ride on the road, to the car-wash, and to get fuel. 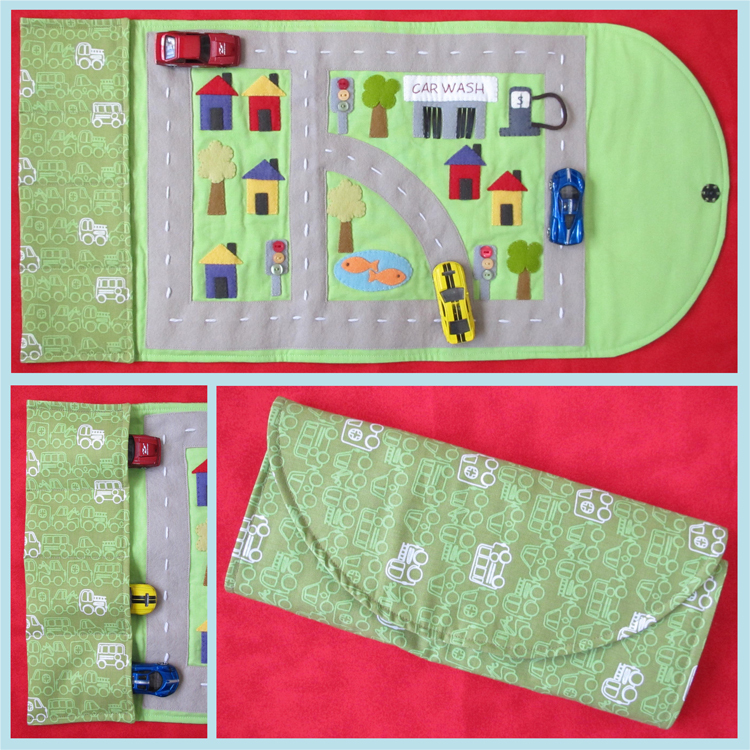 When play has finished, the cars can be stored in the pockets, and the set fold up for easy travel. This set uses machine piecing, and simple hand embroidery.